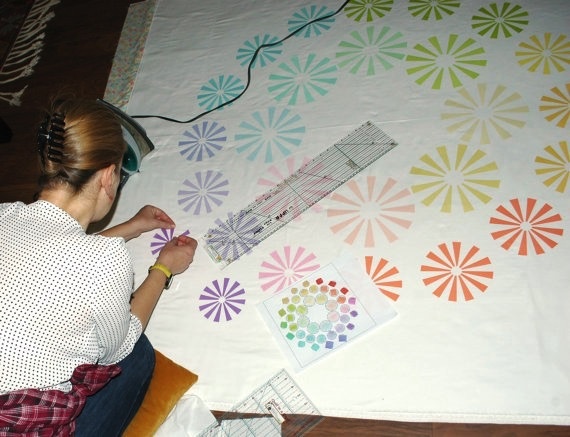 Modern quilt pattern that is easy to make using the raw edge fusible appliqué technique. The pattern will help you create a wall hanging or a lap quilt but, by adding additional background fabric around the center medallion, this quilt can be easily turned into a bed quilt. 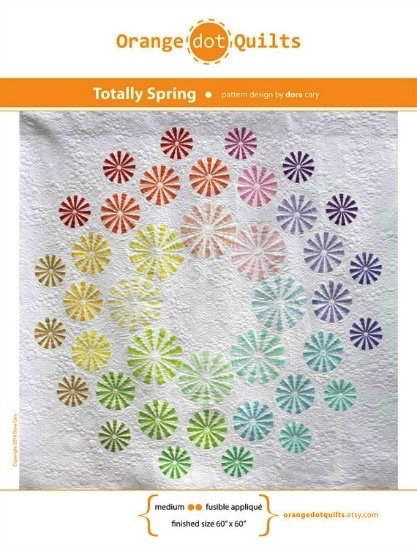 The fabric used in the original quilt is the entire Spring Couture collection from Michael Miller but other color combinations can be used with great success. 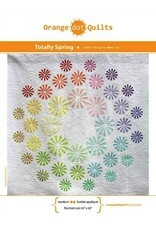 This pattern will look great even in one color or gradients of just one color or in many other color combinations. Finished quilt size: 60” x 60"